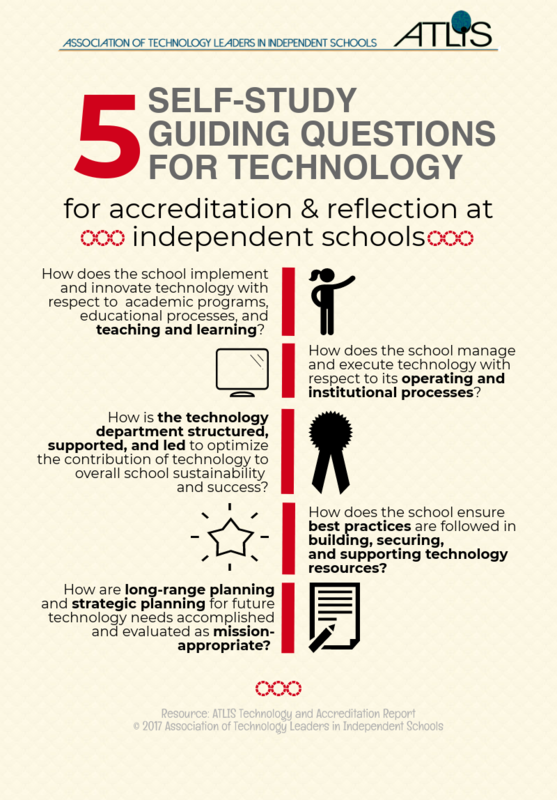 For many years now, technology has been key to student success in our independent schools, but it has lacked its rightful place in the accreditation process. Impossible to categorize simply, technology is at once everywhere and nowhere. Not knowing where to include it, we often left technology out of the process altogether. Yet, those of us involved in technology in schools understood how it contributes to school improvement and, thus, deserves thorough consideration during accreditation. Well, the wait is over – we now have technology guidelines for the school self-study process! Through a collaboration of educators with expertise in both technology and accreditation, ATLIS has released technology self-study guidelines along with five guiding questions, all aligned with the NAIS Principles of Good Practice for Teaching and Learning in the Digital Age. These resources are available for all ATLIS member schools in the website's Document Library. In a fall ATLIS webinar (archived on our website), technology leaders Tye Campbell of Gilman School (MD) and Larry Kahn of Trinity Valley School (TX), who have been involved in both sides of the self-study process at independent schools, gave feedback about the impact of the new guidelines on assessing technology during accreditation. 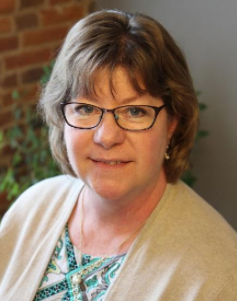 They were joined by Amy Grunat of Drew School (CA), who served on the ATLIS task force on Technology and Accreditation that produced the guidelines. All were uniformly enthusiastic about the guiding questions, and could even see where the guidelines have potential to guide department improvement beyond the accreditation season. Strategic and long-range planning for mission-appropriate needs. While the guidelines don’t dictate where technology should be included in a school’s self-study, these five areas are critical to a school’s academic program, administration, and leadership. With the resources now available through ATLIS, you can use the guiding questions to write a self-study report, use a checklist to assemble documentation in support of the report, and set your department’s plans and priorities for future growth. Ready for more? Read the detailed guidelines for technology and accreditation or download the a poster of the essential questions to prompt your department’s work (both available in the Document Library for ATLIS members). View a recording of the fall webinar. Comments on "Technology and Accreditation, Together at Last!"